Monday beans, Tuesday beans, Wednesday beans, Thursday baked beans, never a day without our beans, beans, beans! Whilst traversing the unchartered wilds of the Malawi ancient landscape, searching for evidence of past humans we have to bring all our food, which means bringing lots of dried beans. We don’t have a fridge, market, shops or even local fruit stands so we pack light and cook beans on a charcoal burner. Luckily, Malawian beans are sensational! Over the last few weeks we have improved our recipe for bean stew and would like to share this with the blog readers. All ingredients, such as the beans, can be bought at the market in Karonga Town. The bean stew is a great spicy mix of beans with a tomato based sauce with vegetables and spices. To create the bean sensation you have to be well prepared and start 24 hours in advance, slow cooking is the way of the future. Bring a pot, find the nearest water source (a stream, pump, or tap) and fill it so it covers your beans. You will need to soak the beans overnight before cooking. The next day the beans are ready to get stewing. The first hurdle is creating a heat source to cook your beans. 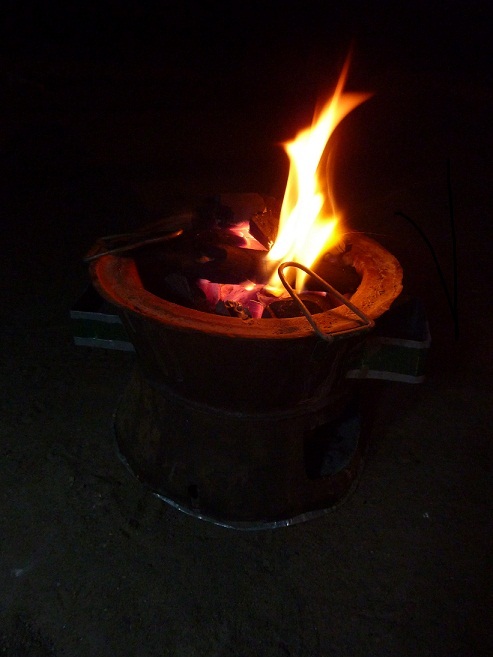 We use a small charcoal burner to cook all our food, including beans. It does not have a heat regulator, so when it gets too hot you just need to remove the beans so they don’t burn. Burnt beans are bad beans we say. Start with finding kindling to make a fire for the beans. Once nice and hot add charcoal, which is the main fuel for cooking beans. In a humungous pan, fry the chopped up onion, garlic, chilies, carrot, capsicum and spices in some oil, don’t add your beans yet! When the onion is translucent, you can start adding your chopped tomatoes, but still wait before adding your beans, be patient. Taste the soon-to-be-bean-stew and add more spices, if needed, or for garlic lovers slice a bulb of garlic horizontally and throw it in the pot. At long last it’s time for the beans! Therefore add your beans to the tomato sauce and simmer for 2.5-3.5 hours. We haven’t mentioned it, but there is a very important Malawian ingredient to make the bean stew change from good to exceptional. It is Africa’s hottest peri-peri sauce and will make all your bean stew fantasies come true. Be sure to add just the right amount, as it is not for the faint hearted and could affect your beans and your bowels. 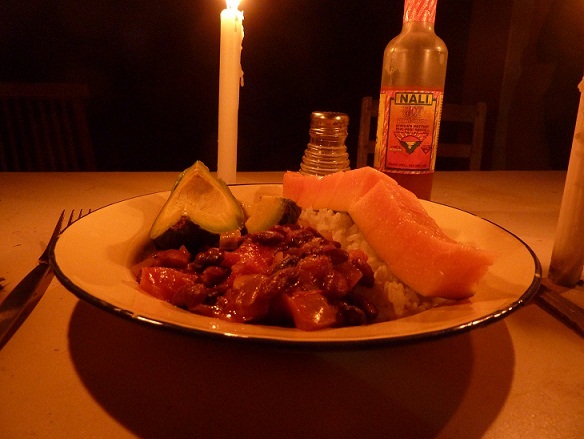 Serve your beans with rice and a slice of avocado and papaya. Follow Arizona State University scientists and students at field research sites in Africa and beyond!